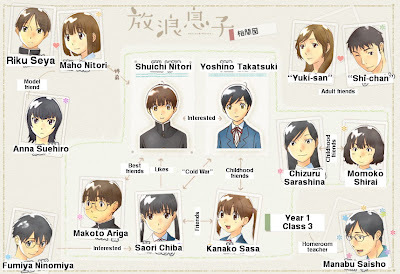 I've come across a few people that have been a little perplexed by the characters in Wandering Son (Hôrô Musuko), and I don't blame them. The series is perhaps a little harder to follow in manga form, but the lack of distinguishing characteristics may make the characters unidentifiable. 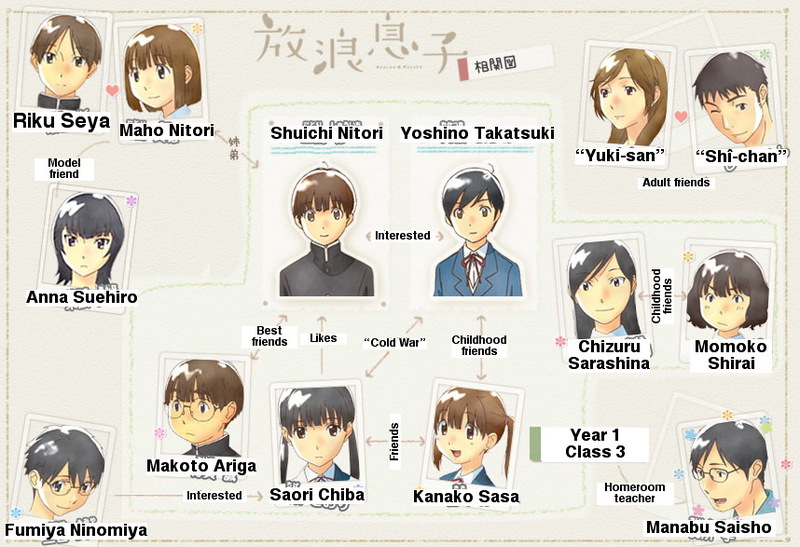 While the actual review will cover the differences between the players in the show, here is a translation of the relationship chart obtained from the Hôrô Musuko website. Click on the image to get a larger view of the chart. Got it? Good. There will be a test on this later. I cannot tell you how appreciative I am of this. I got so freaking lost during the episode.